ASI is pleased to announce that its Global Sales Manager, James Cobbold, who joined the team in June 2017, has been voted onto the Board of the Aircraft Fleet Recycling Association (AFRA) by its members. Established in 2006, AFRA is a membership-based global association to increase industry performance and raise commercial value for end-of-life aircraft. ASI is proud to be one of AFRA’s founding members, contributing towards developing Best Management Practices (BMPs) presently used by the industry, and one of the first companies worldwide to be accredited by the association. James’ quote from the AFRA July 2017 newsletter states: “I feel being employed by such a well-established organisation who believe and follow the AFRA philosophy and with the backing of previous Board member Mark Gregory and outgoing Board member Bradley Gregory, I have the support and infrastructure to ensure the AFRA ethos and values are upheld across our industry. With the volume of members being involved on the various committees, coupled with increasing member numbers (including various airlines), I honestly believe the Association is in a very strong position and in good hands”. 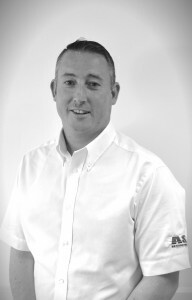 The company wishes James every success with his new AFRA Board responsibilities.